Plastic_Envelopes_with_VELCRO_Brand_Closure is rated 4.9 out of 5 by 24. Rated 5 out of 5 by Animal Rescue from Handy and useful We are an animal rescue that sends our "go home" packets home in these Booklets. We use the small expandable ones and the larger non expandable. They hold up nicely and the bright color represents our color theme of the rescue! Rated 5 out of 5 by Britany from Excellent product! Great product Secure closure and perfect for various projects when you need to protect your documents. I needed to mail a large number of photos. The expansion envelopes are excellent. Love the product and great price! Rated 4 out of 5 by Jones1234 from Great Service! We ordered one to preview as the option for a sample was not available. Shipment of sample was fast. WE decided to order and the order we prompt and correct. Product is solid and durable. Color is as described. Rated 5 out of 5 by Hilda from Great color. I have ordered this product for the last 5 years and I have never been disappointed. Rated 5 out of 5 by MrsBBB from Great product These come in handy for anything that is stored in an envelope. The envelope doesn't wear away on the edges as a typical paper one does. These items are currently in port due to congestion in the Northeast. There is a shortage of truckers at the moment so we are kind of in limbo. However, it is certainly possible that the envelopes come in by end of month. If you want, you can place the order with the discount, and if they don't arrive on time, we can refund your money. If you are having issues placing the order online, please call in at (201) 567-6666. Thanks! These are sold individually for $1.25 each. Sorry for any confusion. Do you custom imprint the envelopes? If not, please disregard my previous question. We do not, sorry for any inconvenience this causes. Do you offer discounts in bulk purchases? What does open end mean? Open end means the envelope opens on the short side of the envelope, like a policy envelope or coin envelope does. Booklet envelopes open on the long side of the envelope. What is the difference between open ended and letter booklet plastic expandable envelopes? Open ended opens on the shorter side of the envelope while the letter booklet opens on the longer side. Hope this helps! Is there any where local (my zip code is 78666) where I can buy #10 business clear plastic envelopes w/Velcro closure (item # 921v1cl? The only physical store we have is in NYC, but you can always order online with us! is printing available on these plastic folders? 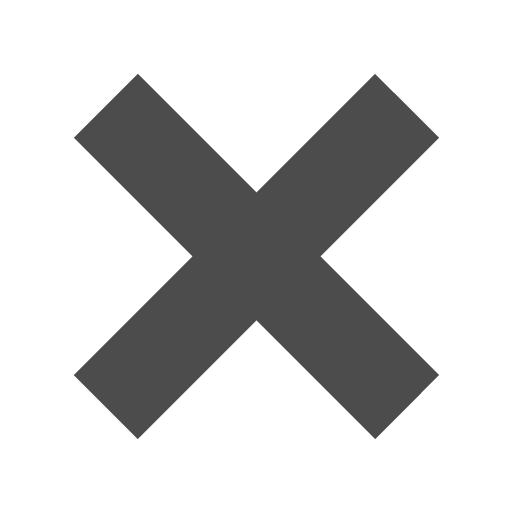 is it possible to screen an area for using a pen to write on it? Unfortunately we do not do custom printing on our products. Give yourself room to breathe. Creativity and workflow gets stifled when you’re surrounded by a mess. For important home and office items that need to be saved, Plastic Envelopes with VELCRO® Brand Closure make organizing easier. You can use them to hold papers, forms, letters, pictures, or anything else taking up room. So clutter won’t get in the way of your open and inspiring space. 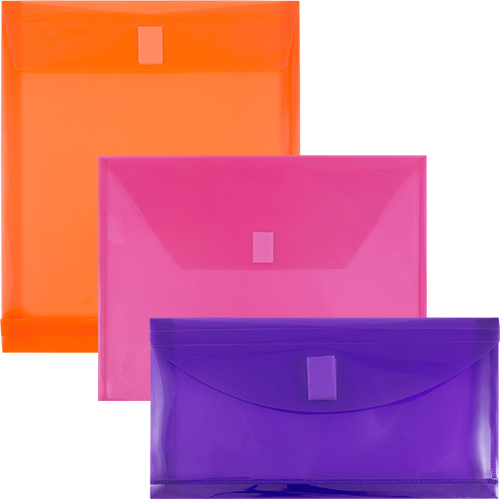 These resealable envelopes come in an assortment of sizes and bright colors. So you can get different sizes for storing different items. Or choose several different colors to create an instant color-coded paper management system. You can also select an envelope that has 1 or 2 inch expansion if you know you’ll be adding more over time. And don’t worry about durability, made of hard-wearing poly material, these envelopes can take it. A reliable VELCRO® seal makes opening and closing easier than ever. Secure for taking with you on go. Free up your space, so that you have more room to create.